This tutorial guide will help you to flash your Nokia 808 PureView with Phoenix under Windows XP / Vista / Seven either with custom firmwares or official firmwares in case you have messed up your phone’s firmware during the official update process either via Nokia Suite or due to any other reason. You can download the default firmware either with NaviFirm (download the official firmware after looking-up for your device’s product code by dialing *#0000# from the dialer) or you can look-up for your favorite custom firmware for Nokia 808 PureView. 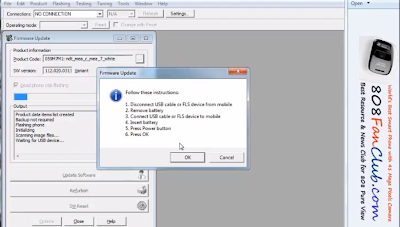 Place the official or custom firmware files in one of the following paths according to your Windows version. This entry was posted in Nokia 808 Firmware on by Admin.